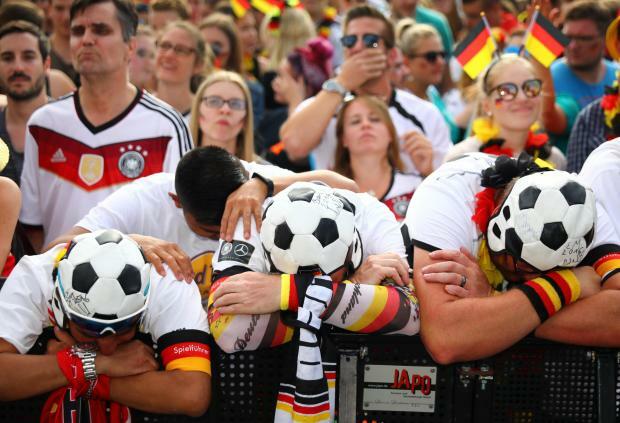 ⚽️ Goal❗❗ #Germany ???????? 0-1 #KoreaRepublic ???????? 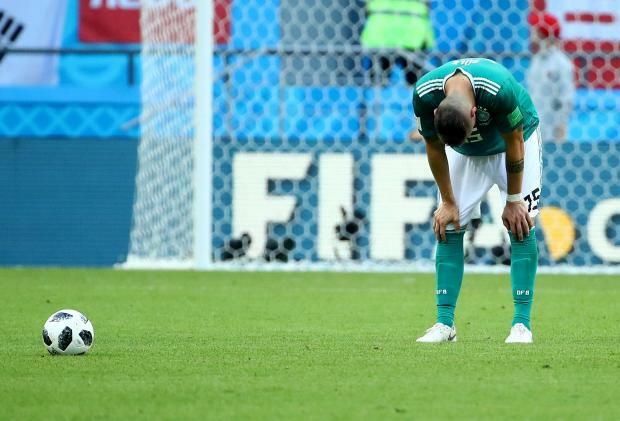 Stoppage-time goals from Kim Young-gwon and Son Heung-min finished off Joachim Loew's sorry Germany side, who finished bottom of the group on three points. They have won four World Cup titles and also finished runners-up four times and entered this year's tournament heavily backed to retain their title. Instead they will head home after a stunning failure, having been unable to break down the South Koreans and after a shock 1-0 loss to Mexico in their opening group match. 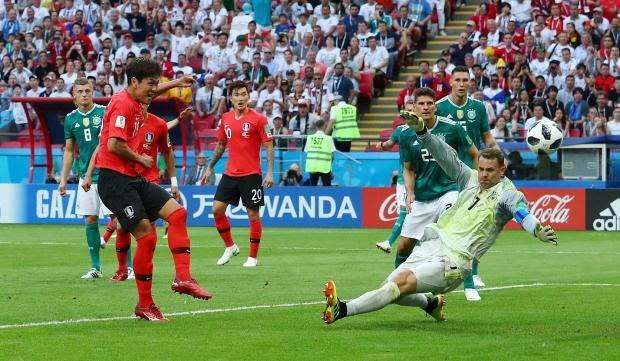 Germany's Toni Kroos, the free kick hero in the 2-1 win over Sweden, tried desperately to spark his side into action in the second half but was denied by South Korea's heroic Cho Hyun-woo in the 88th minute, one of a number of fine saves by the keeper.